Turkey and Blackbean Soup – an easy delicious and nutritious soup to make with leftover roast turkey. Great to have for after the Holidays. Spouse has been in the kitchen whipping up yet another quick and easy, wholesome winter soup. A few quality ingredients and a very simple preparation is all it takes to be enjoying this healthy meal option. This is a soup that we often freeze in individual portions in sealed plastic containers to provide a quick workday lunch any time. 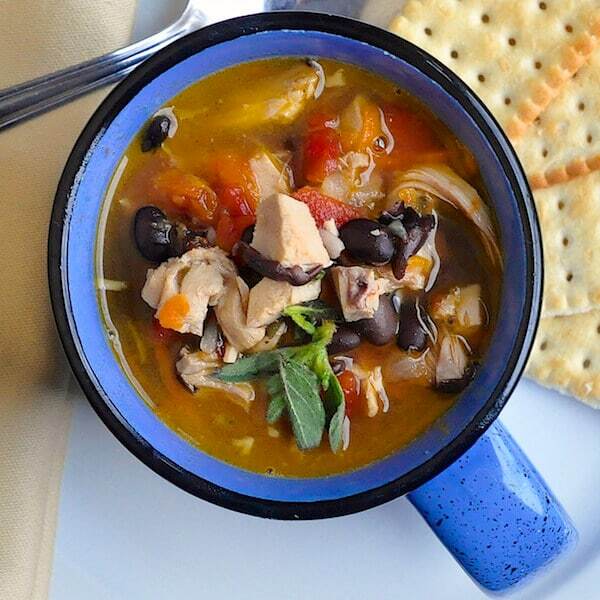 Turkey and Blackbean Soup - very few ingredients are needed to make this simple but delicious leftover turkey soup recipe.